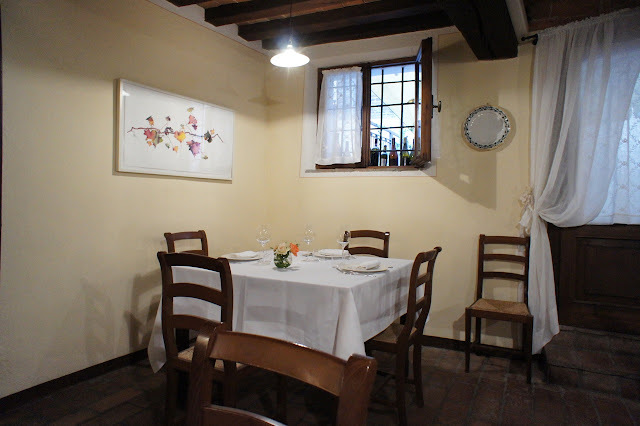 Hosteria Giusti is one of those cult restaurants in Italy which everyone talks and raves about and always appears in the list of places to eat in Italy. However, it is only open for lunch (and only has 4 tables) and hence is not always an easy place to get to eat at. Besides, it is located in Modena which is not exactly a tourist destination, so it is safe to conclude that only serious foodies eat at Hosteria Giusti and you are unlikely to find any tourists stumbling upon it during their tour. Up till recently, it had 1 star from Michelin which was deeply puzzling given that it was unashamedly a trattoria and was only open for lunch (and had 4 tables). But it seemed like they saw sense and this star was withdrawn this year. We can only imagine that the reputation of this place seduced the Michelin folks into including this place in the list in the first place. It is located at the back of its Salumeria (place where they sell bread and salami) and is not visible to walk-in customers unless you are ushered in through the back. 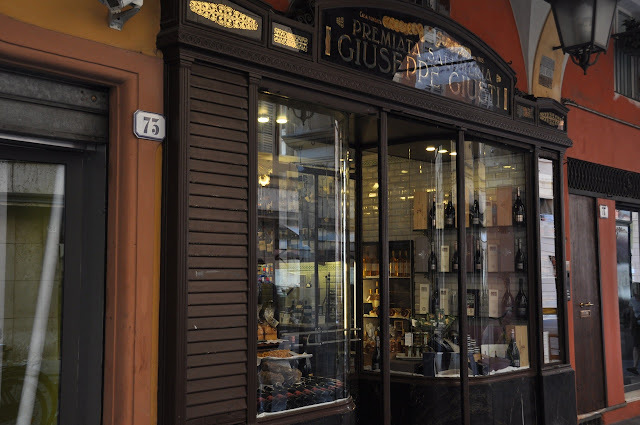 When we got there, we asked where the 'hosteria' was and were met with curious glances; 'hotel? No hotel'. 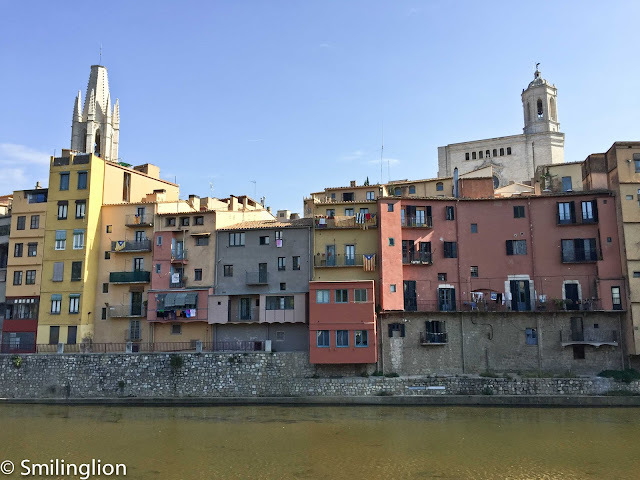 Fortunately, we mentioned that we had a 'prenotazione' (reservation in Italian) and then it dawned upon the lady at the counter that we were there for the restaurant. She (who didn't understand a word of English), then telephoned the back room and a young lady (who we gather is the grand-daughter of the patriarch of this establishment), who could speak reasonably good English, came out to bring us through the back entrance, past the kitchen, and into the dining room. The dining room was rather tiny. 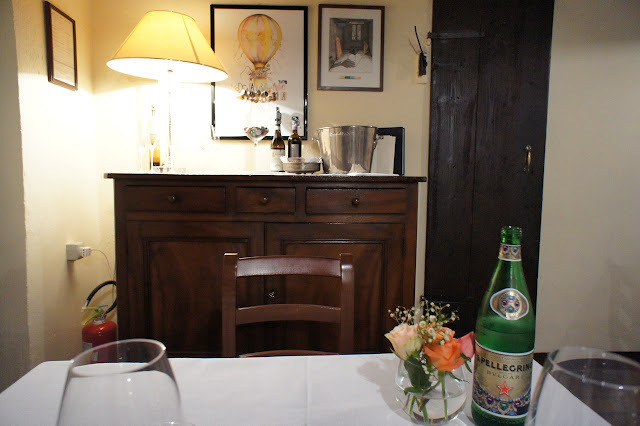 A squarish room with four tables at each end (capable of accommodating 4-6 people for each table, we thought), it was very basic and looked like someone's dining room rather than a former Michelin star restaurant. 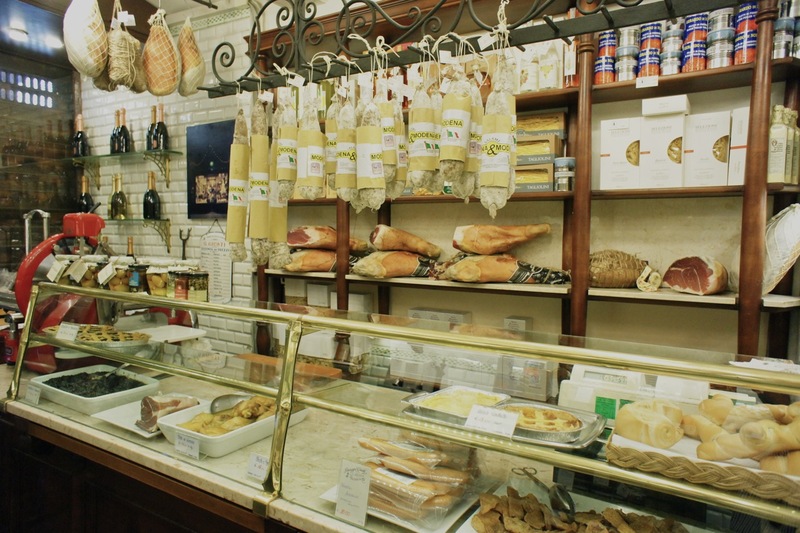 The grand-daughter came to take our orders, they had a short ala carte menu and it was filled with the usual Emilia-Romagna favourites like the cured meats, tortellini con brodo, potato ravioli with butter, rosemary and cheese etc. We picked out some dishes which we had read about on other reviews on the internet. 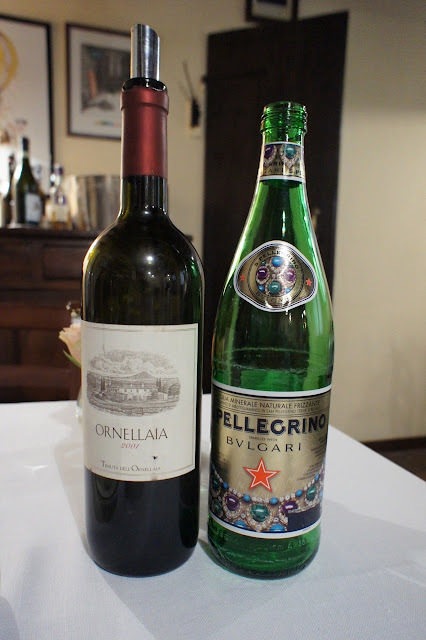 One of the great things about this restaurant is that they have an excellent wine list which contains some really good bottles for extremely reasonable prices. For that reason, though they asked if we wanted the local Lambrusco (a locally produced sparkling wine), we decided instead to open a bottle of 2001 Ornellaia which was the cheapest I had ever seen in a restaurant (or any wine shop for that matter) even though it was a bit too heavy for lunch and certainly wasn't the best fit for what we were having. It's almost like driving a Rolls Royce out to do grocery shopping. But for that price, we weren't going to care too much. 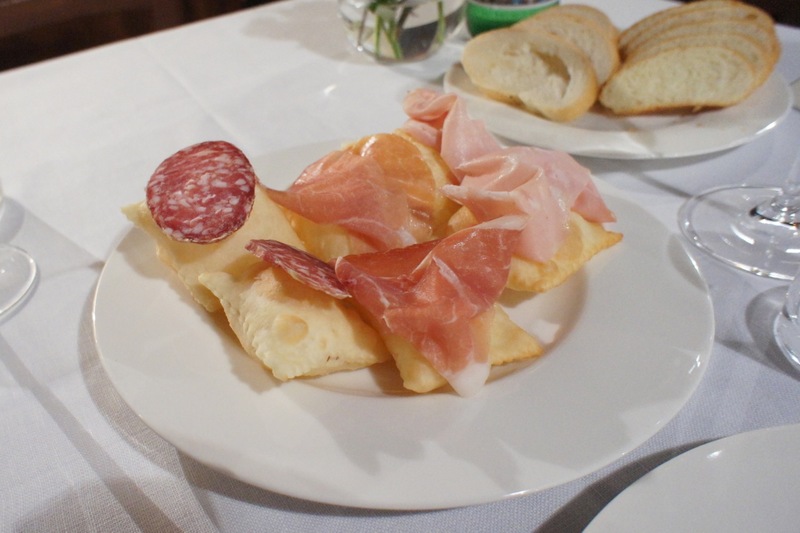 We started with some salami, parma ham and mortadella on pastry puffs. The meats were very good (there is a salumeria at the front in any case) but what was amazing were the pastry puffs. They were crispy yet light in flavour, accompanying the meats well yet not filling us up too much. We then shared 2 pastas for our starters. 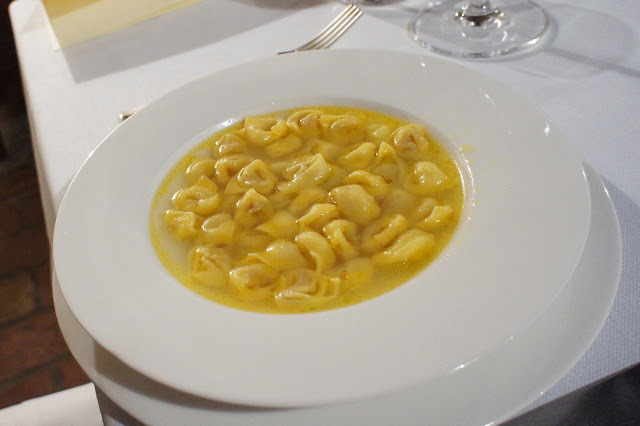 The first was the classic Tortellini in capon broth, which was very good but in our opinion not as satisfying as the ones we had in Bologna (see earlier reviews: Diana and Trattoria Meloncello). It was slightly disturbing to see so much oil visibly floating on the broth. The other pasta was the noodles with fresh porcini mushrooms. 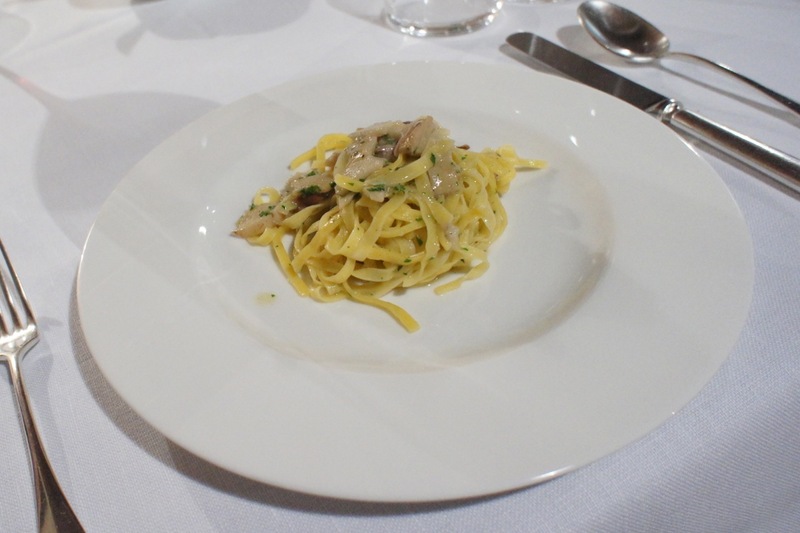 The homemade tagliatelle was excellent as expected but somehow this dish failed to excite. It was the main courses which blew us away. The fried cotechino with Lambrusco eggnog was simply stunning. 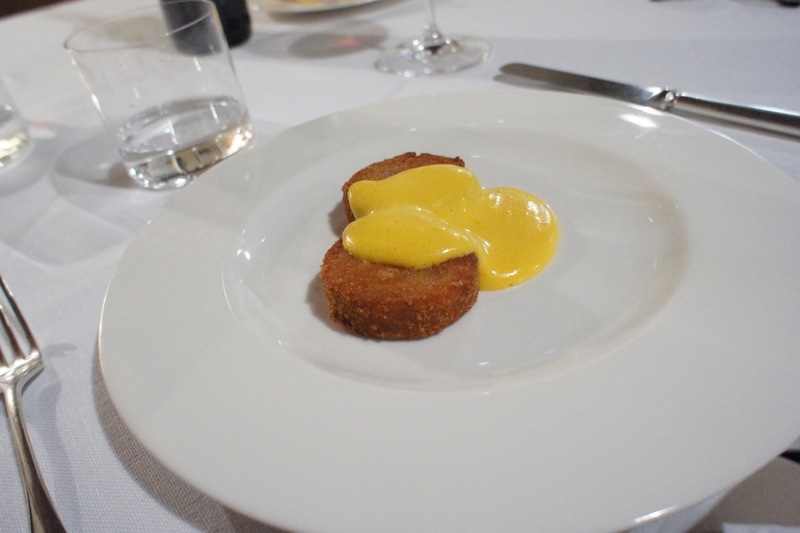 This was a breaded sausage with sweet and creamy eggnog sauce in a very distinctively yellow color. The sweetness of the sauce was simple heavenly together with the rich flavours of the meat. I was dreaming of this dish even after one week. 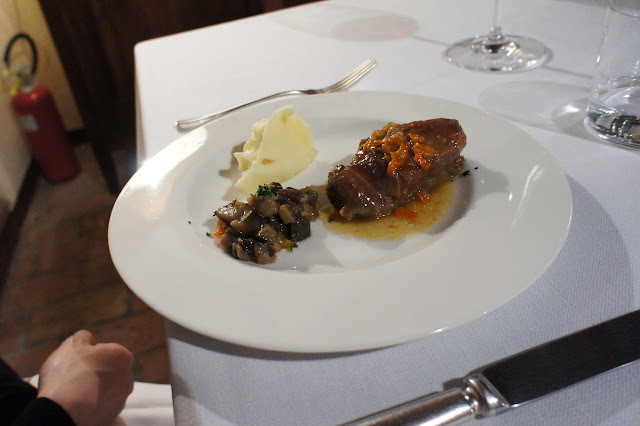 The other dish was the veal cheek with mash potatoes and aubergine with tomato. This was also very well braised to bring out the taste yet keeping it succulent and juicy. 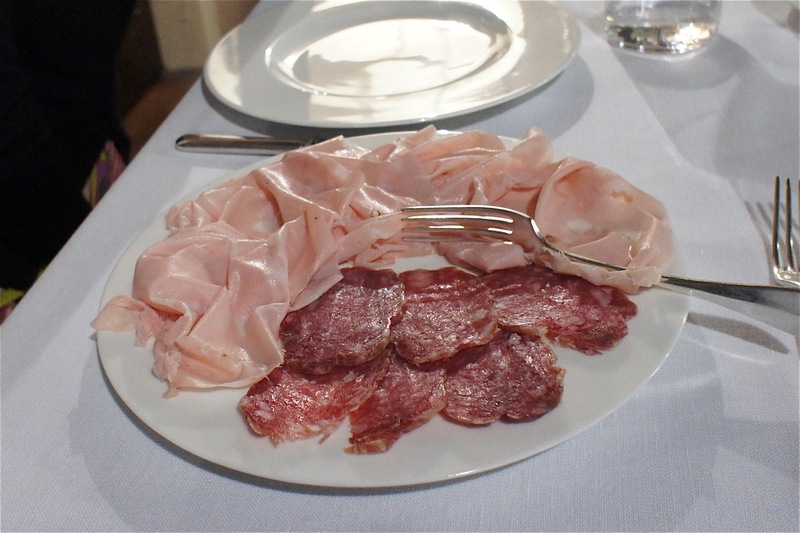 We couldn't get the cured meats out of our minds and ordered an extra portion of mortadella and salami after our main courses to satisfy our fix. Needless to say, these went superbly with our Ornellaia. 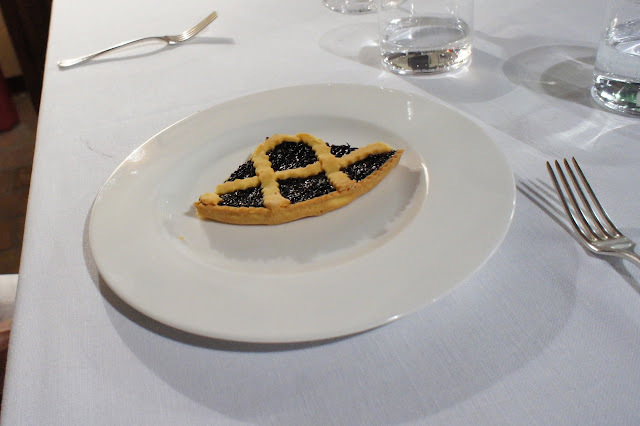 Dessert was a sour cherry tart which was a bit of a let-down, but we were already so full that it didn't really matter. Good as it was, we didn't feel like it warranted the hype. We may come back if we find ourselves in Modena again (which is highly likely because Osteria Francescana is round the corner) but won't make a special trip to Modena just to eat here.